If it hurts, cheerleaders …Take a break! Cheerleading has changed in the past 30 years from yells and claps to routines with high level gymnastic tumbling runs and stunts. It has also become a year-round sport with summer camps and cheerleading competitions. This has increased the number of injuries, especially in females. Most common injuries are fractures, strains, sprains, and concussions. Due to this change in the demands of cheerleading, it is important for coaches and cheerleaders to understand proper techniques during stunts and tumbling, strengthening, leg and arm alignment, core activation and different risks related to floor surface and practice time. Cheerleading has not historically been recognized as a sport, at many levels. This means cheer may not be under the control of an athletic department. Cheerleading does not have to follow certain rules and regulations that other sports monitor and improve for safety. Therefore, increasing safety awareness is key for protecting cheerleaders. The way in which a cheerleader lands when tumbling is also very important in preventing injuries. Soft landings are the way to go. A soft landing is best with knees slightly bent and weight more on the toes rather than heels. Do not allow the knees to go in or forward over the toes; instead, keep toes and knees pointing forward with upright chest and tightened core. Tumbling and stunting on a softer surface is always preferred rather than a hard or wet surface. Injuries have been related to improper loading due to decreased strength, body awareness and lack of proper alignment with body mechanics. Loading refers to the pressure or weight a cheerleader has through their arms, legs, and spine while holding a stunt and landing a tumbling pass. Cheerleaders need to be aware of their body mechanics. Body mechanics is proper body movements to prevent or correct posture problems, reduce stress on the body, and enhance physical capabilities. Strengthening cheerleaders’ cores, legs and arms will improve body mechanics and decrease injuries. Keep feet shoulder width apart with toes forward or slightly out; heels on the ground. Knees should never go forward past the toes or inward. Hips should stay over feet with equal weight. Trunk stays upright- do not bend or arch the back/spine when spotting a stunt. Arms directly above shoulders; not behind your head when spotting a stunt. As cheerleading has become more about stunts and tumbling, it requires strength, balance and stability. Coaches should be focused on strength-building conditioning, which includes core stability and proper lifting techniques. It is also beneficial for coaches to attend safety certification classes, such as those offered by the American Association of Cheerleading Coaches and Administrators (AACCA). Prior to any cheerleading event, a proper warm up with aerobic activity and dynamic stretching is necessary to prevent injuries. Stretching after cheerleading is just as important to decrease injuries. The longer the practice, the higher the risk for injury is. Most injuries happen between 61 and 90 minutes of practice. Cheerleaders are at high risk for sustaining concussions, which is a head injury/trauma to the head when hit. Cheerleaders sustain concussions with a fall from high heights, being hit in the head when basing, or landing on their head during tumbling. It is important to stop cheerleading if there is a possibility of a concussion. Signs to watch for include: headaches, dizziness, visual blurriness/double vision, memory issues, decreased coordination and balance problems. If these symptoms are present, the cheerleader should seek medical attention immediately. Most concussions heal in about a month, however if cheerleaders continue to have the symptoms, they may need active rehabilitation. It is never good to return to cheerleading too early; it may make their full recovery longer. If a cheerleader has any signs or symptoms of a concussion, they should not be allowed to return to cheerleading until cleared by a physician. Cheerleaders are 3-6 times more likely to have a second impact concussion after having their first concussion; the second impact concussion can have more severe complications. Cheerleading should be designated as a sport in all states, allowing for benefits such as qualified coaches, better access to medical care and injury surveillance. All cheerleaders should have a pre-season physical, and access to qualified strength and conditioning coaches. Cheerleaders should be trained in all spotting techniques and only attempt stunts after demonstrating appropriate skill progression. Pyramid and partner stunts should be performed only on a spring/foam floor or grass/turf. Never perform stunts on a hard, wet or uneven surface. Pyramids should not be more than 2 people high. Coaches, parents and athletes should have access to a written emergency plan. Any cheerleader suspected of having a head injury should be removed from event and not allowed to return until cleared by a health care professional. 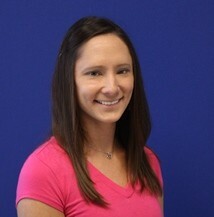 Amanda Vick, PT, DPT, is a Cook Children's SPORTS physical therapist.The SPORTS Program at Cook Children’s offers educational material for parents, coaches, trainers and nurses for sports-specific injuries. Our team of experts have specialized training in pediatrics and collaborate together to share their knowledge in growing bodies and dynamic training principles. 2, 4, 6, 8…Who do we appreciate? Cheerleaders.We have injury prevention tips as they begin summer camps & competitions.